Circles.Life is a Mobile Virtual Network Operator (MNVO) in Singapore riding on M1’s infrastructure. I attended their launch on 5th May 2016 and sign up for a free three months trial. My line got activated on 12th May 2016. 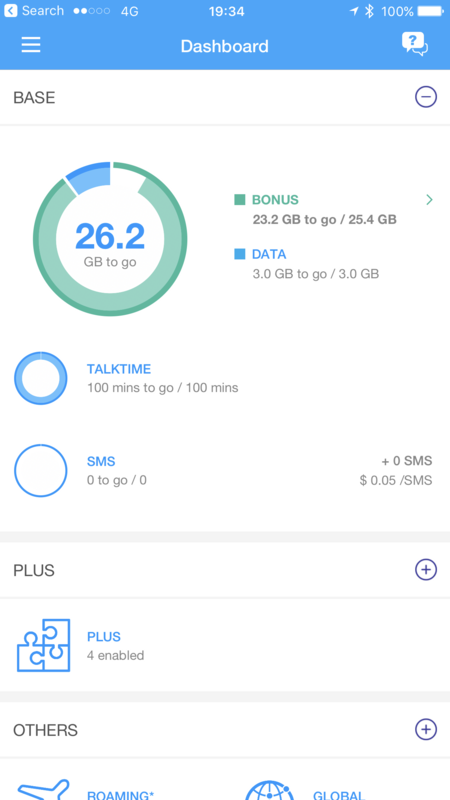 Upon activation, I gotten an additional 2GB of data for free, so that brings up to 5GB data/100mins talktime for S$28/month. The price is attractive and very competitive. On 28th June 2016, Circles.life introduce a referral system. Every Circles.life’s customer is given a referral code. 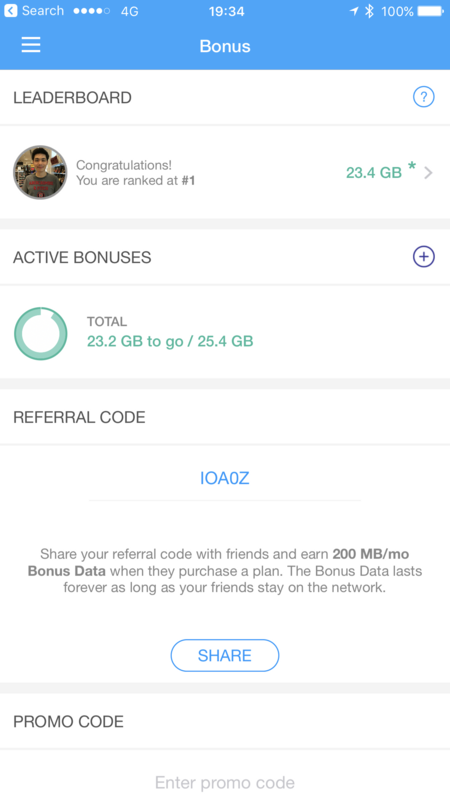 If any users sign up with this referral code, the customer will get an additional 200 MB of bonus data every month and the user will get S$20 off his Circles.Life registration fee of S$38. 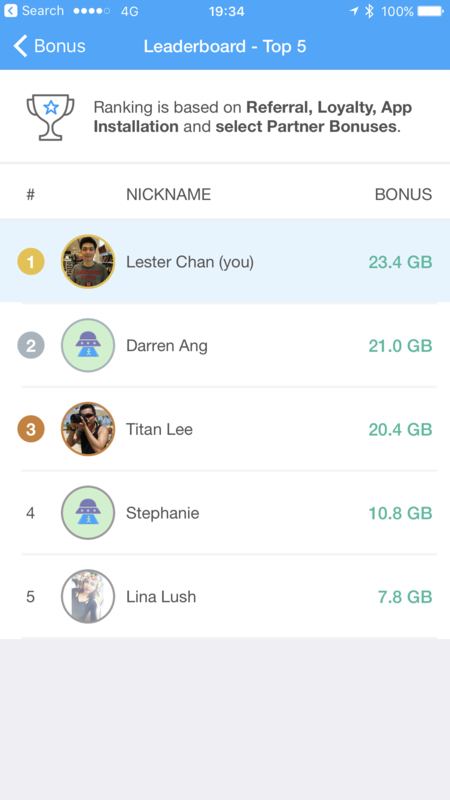 Right now if you view Circles.life’s Leaderboard in the iOS or Android App (Bonus -> Leaderboard), you will see my name at the top with 23.4GB bonus data. Yeap, I am paying S$28/month for 28.4GB data/100mins talktime per month. It became very attractive me for me to stay on the network (which I did). I initially wanted to cancel after my trial is up because it is not attractive enough for me to pay extra S$28 just for 5GB of data on top of my main Singtel line. So I started to make use of the referral code in the hope of getting more free data every month for the same price. I updated my Circles.Life Price Plans with my referral code at the bottom and started to reply comments with my referral code. Since I was one of the first few users who blog about Circles.Life, my SEO traffic to that post was pretty good. A month later, I created another post to be more targetted, titled, Circles.Life Referral Code. That should pop up if people google for “circles life referral code”. I also posted a few photos on Instagram (here, here and here) with the photos cross posted to Facebook and Twitter. Just in case people do search for it on those platforms. I wanted to post my referral code on RetailMeNot Coupons but it is not accepting coupons from .life TLD. Luckily, it didn’t went through because it is against Circles.Life’s terms and conditions to post the code to coupon sites. Just for fun, the next thing I might try doing is a Facebook Sponsored post on my lesterchan.net Facebook Page. I will probably set a budget of US$20. If I managed to get about 10 signups with that budget, that means I will get an extra 2GB of data per month for just a one-time payment of US$20. This page is generated on 19th April 2019, 04:24:19 (UTC) in 0.292s with 23 queries using 2.0 MiB of memory.